GrahamGreene is a Legacy Library. Legacy libraries are the personal libraries of famous readers, entered by LibraryThing members from the Legacy Libraries group. » Graham Greene's legacy profile. GrahamGreene is also an author. 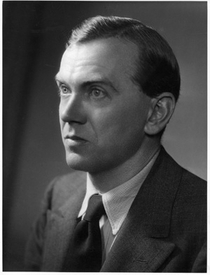 » See Graham Greene's author page. About meI was born in England in 1904, and am considered by some to be one of the foremost 20th century novelists from that nation. I divided my works into two categories: "novels", which frequently dealt with philosophical and moral concerns, and "entertainments", which often dealt with the world of international politics and intrigue. I died in Switzerland in 1991. About my libraryMy library of between 2500 and 3000 books is currently held by the John J. Burns Library of Rare Books and Special Collections at Boston College, who purchased it for approximately £1m four years after my death. While alive, I was noted for manner in which I used my library; letters and photos were often filed inside the books, and I frequently used the flyleaves and margins as impromptu notebooks, jotting down anything from diary entries and commentary on the work to notes for use in my own books.